Families are calling for a public inquiry into post-mortem examinations carried out in Greater Manchester. Inquests for 26 people are on hold after concerns were raised about the work by histopathologist Dr Khalid Ahmed. But other families said they do not want further delays to the inquests. A decision on whether to refer the inquests to the government for a potential public inquiry will be made in the next 10 days. Dr Ahmed worked as a consultant histopathologist, an expert in disease in human tissue, for Pennine Acute NHS Trust at the Royal Oldham Hospital. He also carried out private work for 1,351 post-mortem examinations for the north Manchester coroner between January 2007 and May 2017. A sample of Dr Ahmed's reports were examined after concerns were raised about his work. A report by Professor Simon Kim Suvarna, a consultant histopathologist at Sheffield Teaching Hospitals, found there were "multiple and significant deficiencies with Dr Ahmed's reports", including the fact he appeared not to have "confirmed the patient's identity which is a major professional deficiency". At a hearing held in Heywood, all families were given the chance to express their opinions. 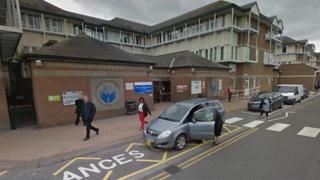 The trust also gave a statement and said its own "governance mechanisms" had highlighted concerns about his NHS work. An internal inquiry is under way. The trust said the investigation of Dr Ahmed's NHS work "provided assurance" his NHS general histopathology practice, the diagnosis of disease by microscopic analysis, was "within the range of a reasonable pathologist". Concerns were identified around the private post-mortem examination work that he undertook for the coronial service. Three cases of "significant errors" are now subject to an investigation by the General Medical Council. Dr Ahmed was dismissed by the trust last month. North Manchester Coroner Joanne Kearsley will make a decision on whether or not she will refer the inquests to the secretary of state to consider whether a public inquiry should be held.